This radiology practice is focused on the comfort of its patients with prime real estate (the building perimeter- with a view to the mountains) becoming the primary waiting area. The fit out uses beautiful, high quality materials to create a luxuriously commercial environment that says a lot about the caring nature of the resident leader in radiology specifically for women, Dr Paula Sivyer. Telehealth is the delivery of health-related services and information via telecommunications technologies. It benefits patients where traditional delivery of health services is affected by distance and lack of local specialist clinicians to deliver services. Ferrier Baudet Architects was commissioned by the Princess Alexandra Hospital to design and deliver its first Telehealth Centre in an existing space at the hospital at Woolloongabba. 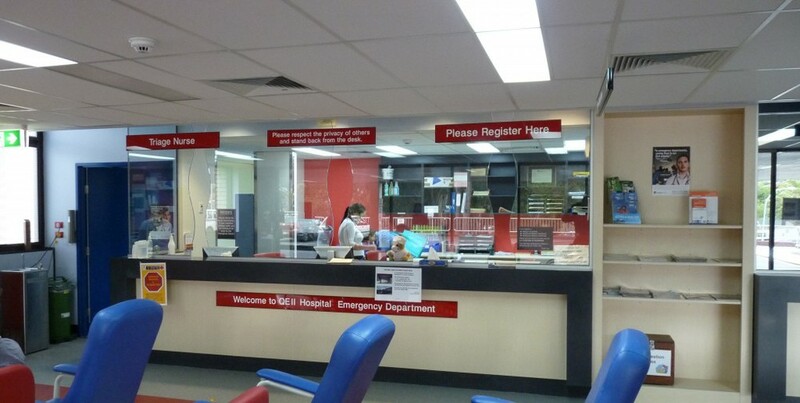 The Centre consists of a number of acoustically isolated rooms in which specialist medical consultants can communicate directly, both visually and orally, with patients outside Metropolitan Brisbane using camera/screen technology. As a Centre of Excellence, the PA Telehealth centre is also equipped with a Telepresence Room for teleconferencing and administrative and technical support facilities. Telehealth adds a new paradigm in healthcare. Emergency departments at hospitals are busy places where good design is critical in achieving an efficient flow through of patients. Signage and clearly identified wayfinding was imperative for this design.